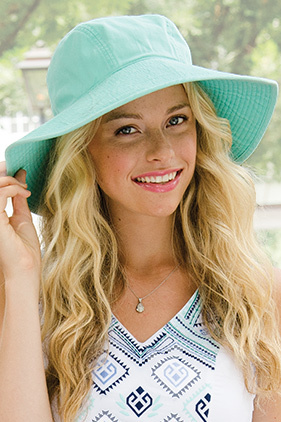 100% cotton twill ladies resort hat. Pigment dyed and garment washed. Three-panel ladies silhouette. 4" wide floppy brim provides excellent protection from the sun. Cool-Crown™ mesh lining.